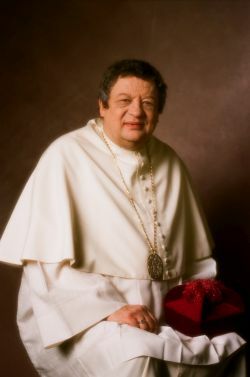 You have visited the web presentation of our unique collection of photographs representing the spiritual leaders of Czech culture in the 21st century. The collection is a project of Jan and Ilona Škopek´s family created in cooperation with the renowned photographer and portrait artist Jadran Šetlík. It was their shared intention to present to the Czech public the outstanding personalities of the Roman Catholic Church, who not only stood the test of totalitarian repression but who are still seen as pillars of moral values. When it comes to the values that our family recognizes, these include our respect for education, art and faith. It was only a matter of time when together with our great family friend Jadran we would try to depict those values through his masterly art. We greatly admire the works of art he has created. We would also like to express thanks to all the pictured personalities for participating in our joint project. As a young man I lived a couple of years in Rome, not far from Vatican. I used to go to the St. Peter´s Basilica and admired its architecture which I found absolutely fascinating and imposing. At that time my father worked as a journalist in Rome and I could even meet the pope and realize the power and dignity of that place. Even today, I can still strongly feel those impressive memories and they have been accompanying me all my life. That is why I happily and with deep respect accepted the offer to create the prestigious Gallery of Spiritual Personalities of the Third Millennium. Some Church leaders have gone beyond the limits of the Catholic Church. Their personal bravery, moral integrity, humbleness or scientific diligence show directions, straighten paths and inspire. They live among us and for us. 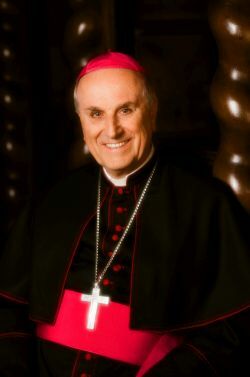 Through his evangelization efforts, His Eminence Mons. PhDr. 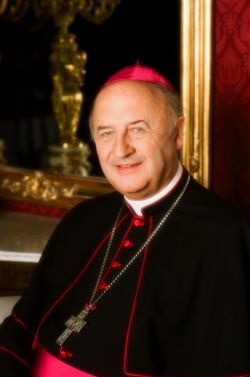 Cardinal Miloslav Vlk helped European civilization to find the life-giving sap of Christian roots, which he interpreted as a reflection and recognition of one’s own mistakes, a plea for forgiveness, reconciliation and, consequently, renewal of the national and international community. He emphasized the need for dialogue, for a proper perception of freedom and a return to Christian values as a starting point for realizing Europe´s spirituality, which now shares various ideologies. He systematically worked on the revival of Church schools and he patiently faced breakdown in the property settlement negotiations between the state and the Church. His motto was “Ut omnes unum sunt“ (That they all may be one). 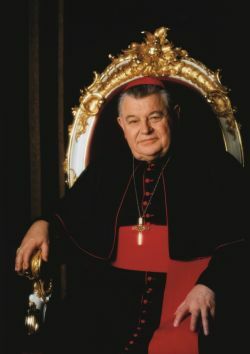 His Eminence Cardinal Dominik Duka, OP. He condemns sin but loves the sinner. He follows the Christian rule which confuses some, shocks others and which only very few understand. 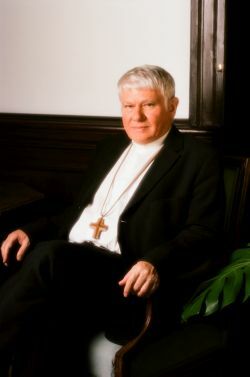 Where others hardly see a chance, Cardinal Dominik Duka is able to spot a sparkle of hope which may lead to dialogue and a joint effort to find solutions in complicated diplomatic situations, not only on the political scene. 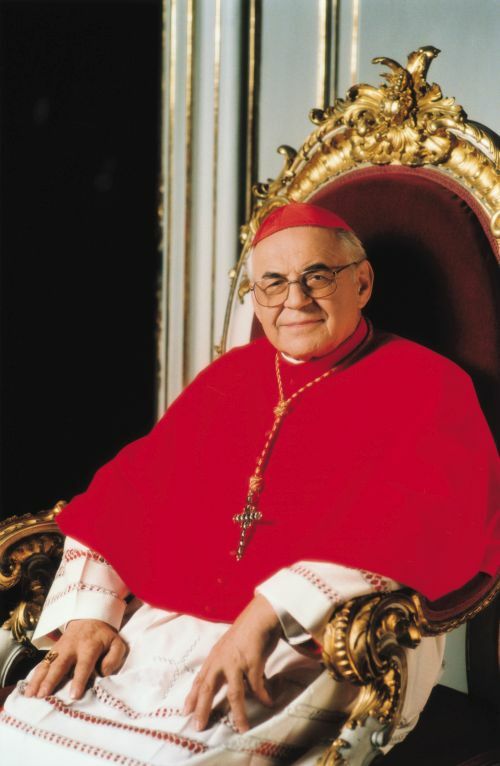 He is faithful to his motto “In Spiritu Veritatis“ (In the spirit of truth) and he encourages good work on a national scale, warns against the risks of irresponsible resolutions, which may harm future generations, regardless of whether such warnings are agreeable or not. He does not care about being popular in the eyes of the general public or the media, but he feels free to preach the truth as he thinks appropriate based on his long life experience. Prof. Ignác Antonín Hrdina, a leading European expert in canon law, Chairperson of the Metropolitan Ecclesiastical Court of the Prague Archdiocese and university lecturer, has strongly contributed to modernizing the Czech terminology of the canon law. His invaluable work has helped the communication between Church and State. The Canon c Law Codex of the Roman Catholic Church is highly sophisticated and cannot be compared to similar documents of other churches. Thanks to Professor Hrdina’s scientific efforts, the Catholic Church has its own, fully functioning and inspiring legal system, which has also become a part of public awareness. To think about others, believers or non-believers, and to take life as a mission for others – these are the natural manifestations of the four basic pillars of the Premonstrate monastic life: comunio – community, contemplatio – contemplation, actio – action, stabilitas - stability. Through his everyday work as the abbot of the Strahov Monastery, Michal Josef Pojezdný, despite his low profile, stands out in secular society thanks to his efforts to spread cooperation in the community and thanks to his deep insight into the reality that surrounds us. He deliberately seeks to hand over property to future generations in a better condition than it was when the communist regime returned it, and he also helps today´s uncertain people to understand that a stable personality is not an empty concept in the tempestuous context of human history. Mons. Václav Malý is an unpretentious but patient and tireless representative of the Church with a rare gift for self-reflection, empathy and the ability to expose injustice and defend the rights and freedom of people worldwide. He is a not only a priest but also a citizen whose words and actions are heard loud and clearly. 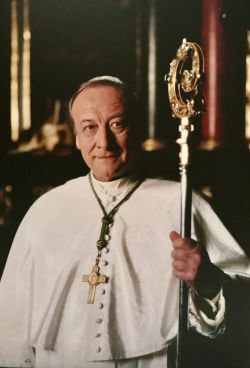 He has done a lot of pastoral work among priests, who are the most visible and most medially vulnerable intermediaries between the Church and secular society. He continually works on closer relations between the Church and state schools and on the equitable recognition of the Church´s contribution to teaching ethics harmonized with scientific research. With his motto “Humility and truth”, he has become an esteemed moral authority in the Czech society. This is the life chosen by the Roman Catholic Bishop Jan Bosko Graubner. He is a man of action, who intervenes with deliberation wherever the spiritual wine of joy runs out, where the state fails in taking care of people. He initiated the Epiphany fundraising event, which connects people of all faiths. Like his patron, Don Bosco, he has placed his hope in the renewal of society into the hands of young people. He has revived a number of Church schools, which in this country serve as islands in the moral anarchy that destroys the quality of a future personality at the very beginning. Jan Graubner´s work creates stable grounds on which the entire society can be further built. Bishop-mathematician. Renowned scientist who has become a priest without fame and honour. The reason for the life choice of Mons. František Radkovský can be found in his personal motto: “We believe in love“. The rest is not the objective but the means to achieve the full quality of life, both earthly and eternal. Mathematics has nothing to do with calculation; it is service. In his office, Bishop Radkovský was close to ordinary people and, as propagator of the proper use of freedom, he warned against the collective forgetting of crimes committed by the communist regime. 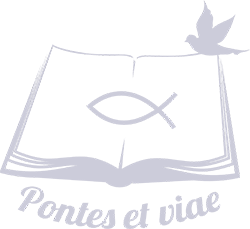 Erudition, humility and service to others are the respectable characteristics of the spiritual leaders involved in this project. They open the doors to understanding in our society. In the words of Cardinal Miloslav “Opened doors awaken trust, a person is invited, accepted.” Thank you for coming in and hopefully also for contributing to building the bridges of trust.